The film “Testimony,” will be shown at the D.C. festival, “Intrepreting Shostakovich.” Source: AFP / EastNews. This month’s festival, “Interpeting Shostakovich,” offers an opportunity to listen to the Soviet composer anew. Beyond the decades of controversy, political tumult, and suffering Dmitri Shostakovich endured, there is of course, his singular and arresting music. However at the same time it’s impossible to ignore his chaotic life, which veered from the highest acclaim to the deepest despair more than once. Few composers are as closely associated with Stalin as Shostakovich. Stalin was fascinated with the composer, as he was with other artists such as the poet Boris Pasternak. Yet Shostakovich came very close to being purged, first during the Terror of the 1930s, and then again a dozen years later. Dmitri Shostakovich was born in 1906 in St. Petersburg and studied piano and composition at the conservatory. In 1934 Shostakovich collaborated with Aleksei Dikij on the legendary opera “Lady Macbeth of Mtsensk.” During the first months of the siege of Leningrad in 1941 Shostakovich was in the city. He survived the first bombardments and joined the “night watch” patrol, helping to put out fires during air bombardments. He was awarded the International Peace Prize (1954), State Prize five times (in 1941-1952) and was designated People’s Artist of the USSR. Shostakovich wrote 15 symphonies, of which the Fifth (1937), the Seventh “Leningrad” (1942) and the Thirteenth “Baba Yar” (1968) are the best known. Shostakovich died in 1975 in Moscow. Shostakovich was a populist composer, unlike Stravinsky, who believed in music for music’s sake. And unlike Prokofiev, who allegedly turned up his nose at gypsy music, Shostakovich used their tunes as well as Jewish themes. In his opera “Lady Macbeth of Mtsensk District,” he portrays the murderous and adulterous Katerina sympathetically as a victim of a dysfunctional marriage and a tyrannical father-in-law. Stalin famously walked out of a performance of this opera in Moscow in 1936, outraged by Shostakovich’s portrayal of figures of authority (the police as well as the father-in-law) as brutes. The tyrant being murdered by his victim was not acceptable, either. The near-end of the composer’s career came in the form of an article in Pravda two days later. The piece called his work, “muddle instead of music,” attacking Shostakovich as being formalistic, coarse and vulgar. From that day, he lived in fear of arrest and execution. It is often said that Shostakovich wrote film music for money or to appease the authorities (he wrote music for blatantly propagandistic films such as “Great Citizen” (1945) and “The Fall of Berlin” (1949), one of the major representations of Stalin’s cult of personality. However Peter Rollberg, director of European and Euarasian studies at George Washington University, points out that the composer wrote for film even when his status in the Soviet Union was assured and he had no particular need to do so. 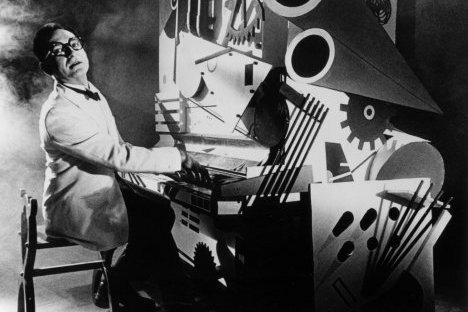 The festival “Interpeting Shostakovich” is unique in that besides symphonic and chamber music, it also features four films that audiences and musicologists have largely ignored. Shostakovich chose to highlight certain scenes with dramatically charged music rather than allow his soundtracks to drone on incessantly. “There is an alternation of realistic sounds, silence and music, which strengthens the artistic effect rather than numbing the senses,” Rollberg said.